Hey guys, what do you think as the buzzword of SEO in 2018? Obviously, it’s none Web design! While the hot new trends of web design are shaking up the world of business web design, we are expecting it to be even more prominent in 2018. As we look forward to another successful year with hope, the big question on every designer’s mind has to be: what will define design in 2018? Here we have listed a few current trends in web design that are sure to shine well the coming year! Whether it be raging tweets or detailed thoughtful reads, or the latest user-generated memes, people visit websites for their content. So, it is essential to present content in an intuitive, efficient, and “delightful” way. Keep the design layout minimal to highlight the content that enables the reader to focus on the message without slowing down the speed of his reading. In the past few decades, web design is constrained by CSS’s limitations. Today, with the availability of new tools like flexbox and CSS grid it is possible to have much more expensive layouts. But, the primary concern here is understanding how these new web layout methods should work in the world of responsive design. When compared to traditional image formats like JPG, PNG, and GIF, SVGs present web designers and developers with numerous advantages. These Scalable Vector Graphics are resolution-independent, hence looks great on any screen or device type. Moreover, with SVGs, there is no possibility that HTTP requests can slow down your site. Do you remember the much-derided, but undoubtedly brand- revivifying, Instagram app icon redesign? The hit is not about the bright, enthusiastic color, but the blending and blurring of exuberant hues play a primary role in resuscitating the new design. 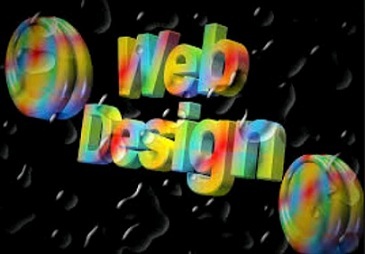 Animation has been playing a vital role in web design for the past few decades. But, this time designers should get more and more visual tools to build engaging and smile-sparking animations to make them more prominent and refined. Giving increased focus on design may lead to delivering content to the right audience with an eye to increasing desired actions. Personalized content served with characteristics such as demographics, behavior, and context reaches the right people and yields better conversions. Remember, an outdated website can dramatically decrease conversions! It’s time to get rid of cluttered designs that distract visitors from the conversion point and create a beautiful, high-performance website for 2018. The author of this article is a designer working in association with the leading web design company in Albuquerque. In this article, he discusses the importance of creating a new, high-performing website and the top Albuquerque web design trends that will shine in 2018. Visit https://www.1stinseo.com/ for more information. This entry was posted in Web Design and tagged Albuquerque web design, web design company in Albuquerque, web design in Albuquerque by [email protected]. Bookmark the permalink.